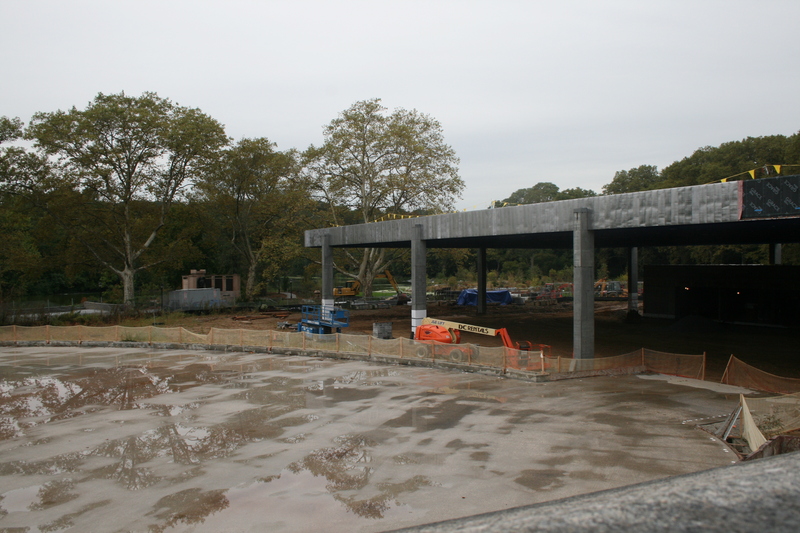 Thanks to Open House New York this past weekend, I got to snap some photos of the new Lakeside project in Brooklyn’s Prospect Park. The area has been fenced off and boarded from view ever since I moved to Brooklyn, and since I run past the project every time I’m in the park, it’s taken on quite an air of mystery. 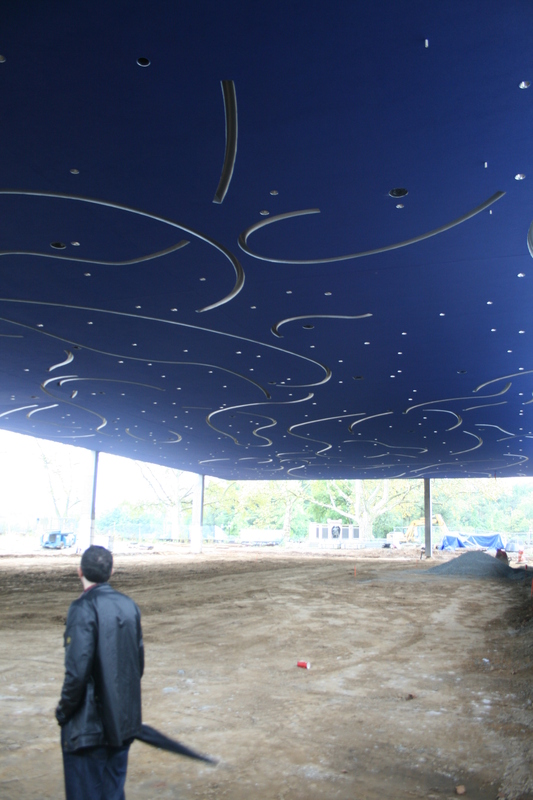 The tour was led by Christian Zimmerman, VP of design and construction for NYC Parks. This guy is great — his eyes shine when he talks about the project, which is one part restoration of the original Frederick Law Olmstead landscape design, and one part new construction of a huge ice rink and water feature. Thanks to our most productive and notorious parks commissioner, Robert Moses, much of this area — which included a lovely lagoon, a “music island” where concerts were held in the 1890’s, and an elegant promenade — were simply plowed over in 1960 to create an ice-skating rink. Today, Zimmerman explained that the project is as much about restoring the original design as about building a modern and green (as green as an ice-skating rink can get) facility for ice and roller skating, hockey and events. The project’s architects are Tod Williams and Billie Tsien, who also designed the American Folk Art Museum in Manhattan. 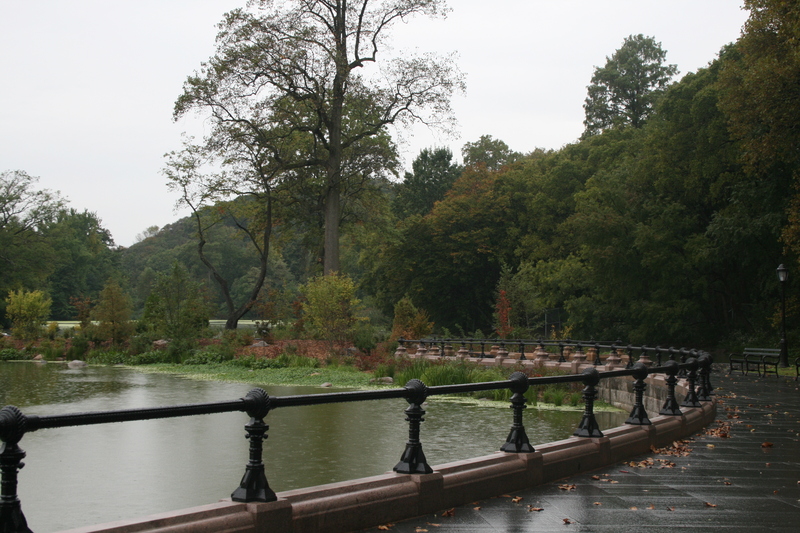 First we’ll take a look at the restored landscape design, set to open to the public (weekends only) on October 20. 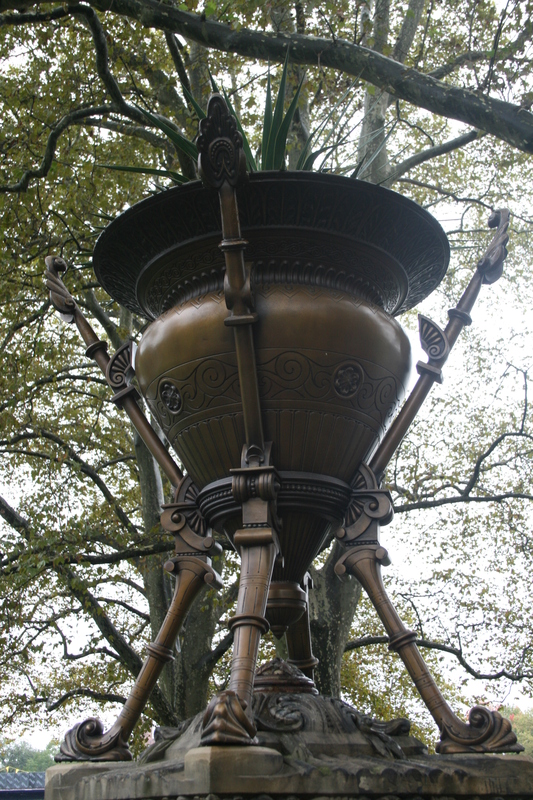 Zimmerman explained that missing elements, such as these large urns, were fabricated using period photographs (photo on the left). 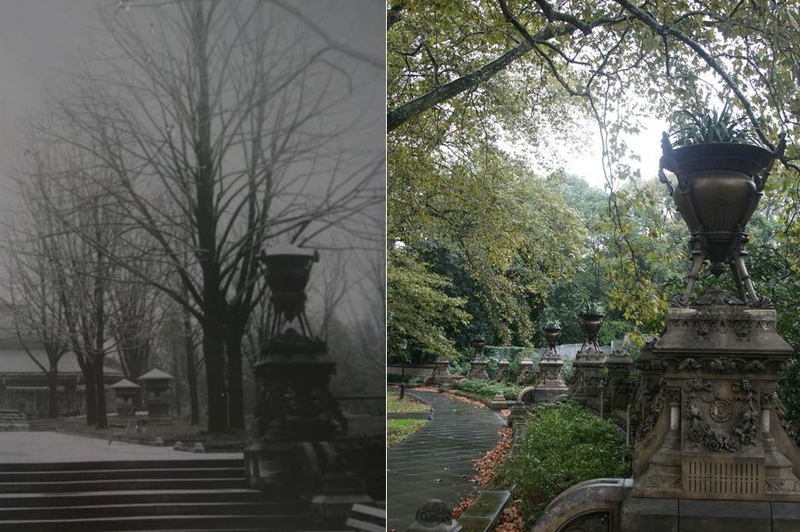 However, much of the original 1890’s photos were dark and taken at a distance. I think they turned out great. I really love the Jules Verne-style details on the arms. This is where the old ice-skating rink was. Before it was filled in, it was part of the lake; now it will be again. The 1960’s work crews dumped pieces of walls and railings right into the hole, so once Zimmerman’s crews started digging, they found all kinds of goodies under the old rink. Here is the restored lagoon, complete with native plantings. Wonderful! This is one of my favorite shots. For the restored low wall on the left, designers worked from photographs, as none of the original wall remained. Then surprise! 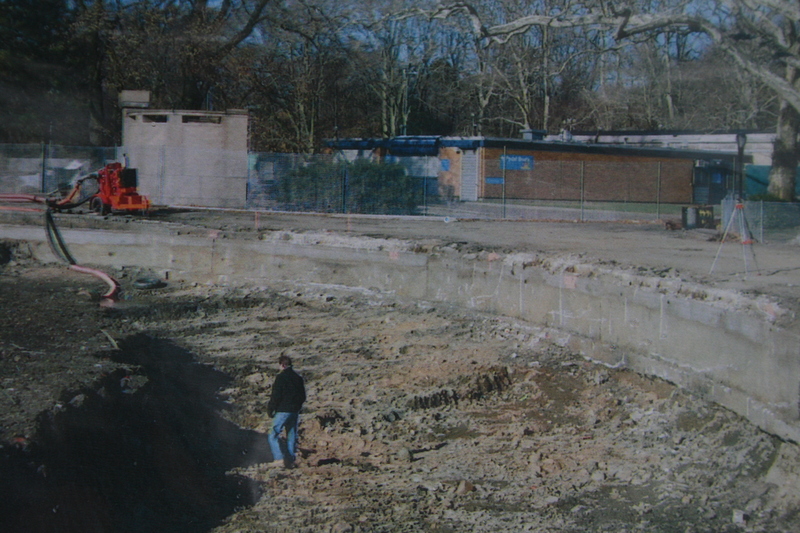 Crews uncovered some of the original wall (on the right), which they used in a small corner section. You can see where they got the design a little bit wrong. In the background towards the left is the restored music island, which although it will no longer host string quartets, will be a perfect area for birds. 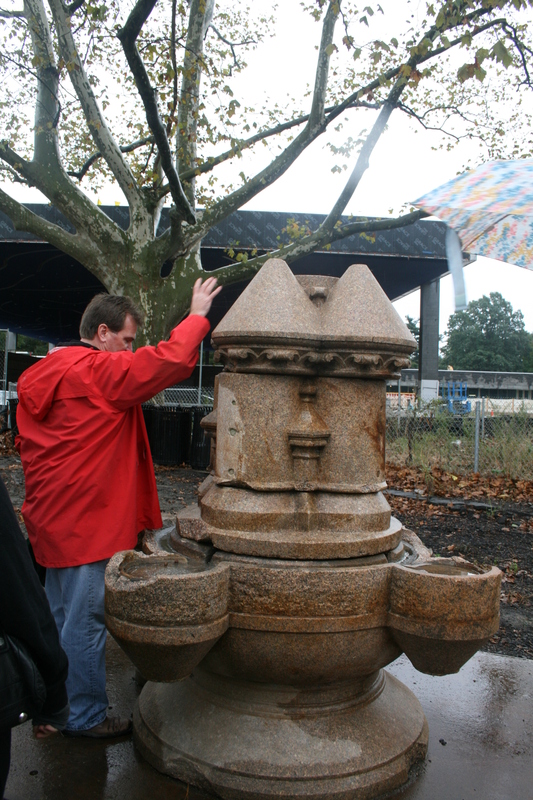 This fountain was also buried under the old ice rink. Zimmerman says he needs $200,000 to restore it. I’m thinking Kickstarter? This is part of the restored War Memorial on the south end of the project. 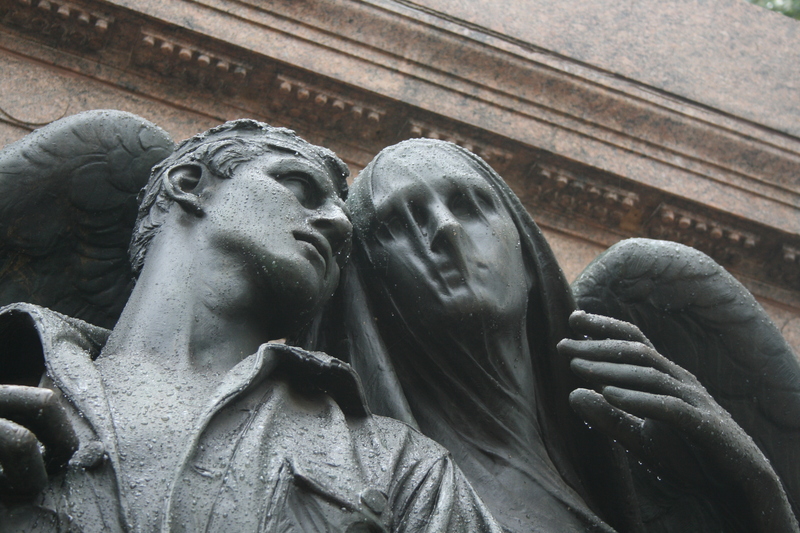 The 1921 sculpture by Augustus Lukeman is so languid; the veil effect over the angel is breathtaking. Here’s where the new ice rink is going; you can see the War Memorial in the distance. The support buildings are (so far) LEED Gold buildings — attaining the highest possible energy efficiency. 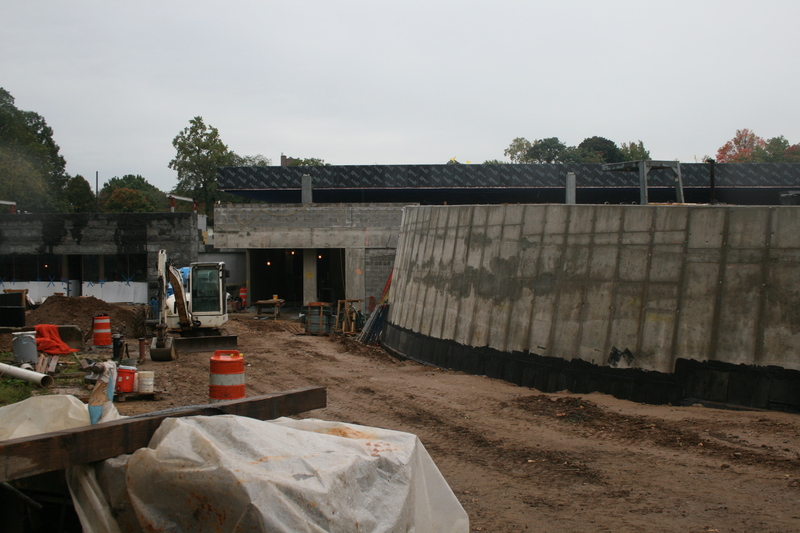 This is the rear of the rink building; the roof of the sloped wall will be a green roof, planted with native sedum. The roof on the left will also be a green roof, planted with native trees. 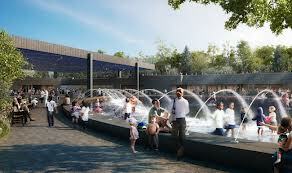 This is the new water feature area; jets will shoot up from the sides in the summertime. In winter, they’ll use it as an additional skating area for lessons, parties, etc. 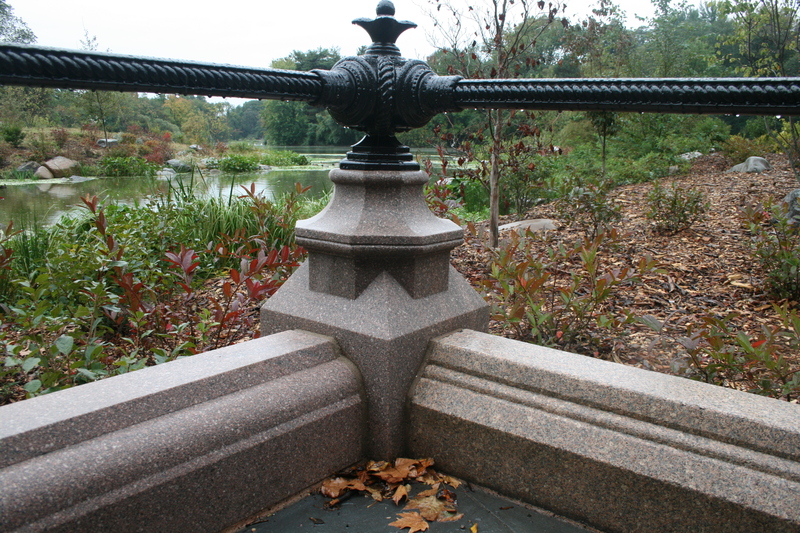 This entry was posted in Green and tagged Frederick Law Olmstead, NYC Parks, Prospect Park, Robert Moses. Bookmark the permalink.